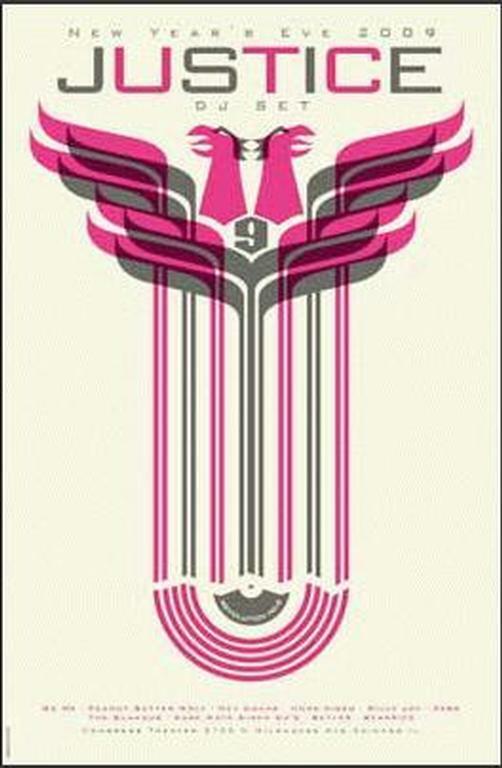 Original concert poster for Justice at The Congress Theater in Chicago, Illinois (2009). 17 x 26 inch two-color screen print on stock. Limited edition print, signed & numbered of only 115 by artist Dan Stiles.